Dethatching- loosens dead grass and leaves. Helps the grass recover from the long winter. Mow- We mow the lawn for the first time to remove any missed debris and also kick start the growing process. Mowing, trimming, lawn-edging, and blowing off all walkways and driveways. 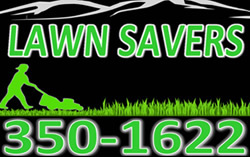 Mowing- We mow the yard shorter than normal to prevent the grass from matting and having frost kill over the long winter. Fertilization- After mowing we apply a winter fertilizer in order to prepare your lawn for the long winter and help growth moving into next spring. BASE PRICE: $145 for a normal sized yard with an average amount of leaves.